*** note: The 532 is required for all vehicles with factory crossbars to allow installation of all compatible bike carriers except the 515. The 532 Includes two 32” load bars. 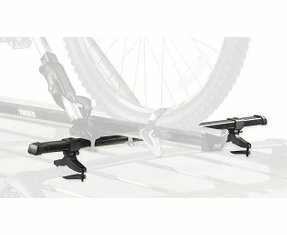 Universal mounting hardware enables most bike carriers to be installed directly to a vehicles factory rack. Includes two 32” load bars and tamper resistant universal mounting hardware. Strong and level load bars provide ideal platform for bike carrier mounting. Works with Thule Criterium and Big Mouth upright carriers as well as V2, Velo Vise, and Long Tray Classic fork mount carriers.